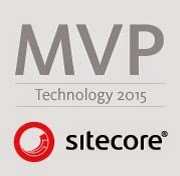 I got below error while browsing Sitecore MVC website. Could not resolve type name: Glass.Mapper.Sc.Pipelines.Response.GetModel, Glass.Mapper.Sc (method: Sitecore.Configuration.Factory.CreateType(XmlNode configNode, String parameters, Boolean assert)). While troubleshooting; I’ve checked Glass.Mapper.Sc.Mvc.config file. I rebuild the solution and I was no longer getting the error. Download correct Glass.Mapper.Sc.Mvc nuget package for your Sitecore MVC project. Thanks for blogging this bug. This should be fixed if you are installing into a new project but it is a problem if you are upgrading an existing project. ASP.NET training in Jaipur provides quality training with live projects. Learn on web designing and development with error solving tricks. Nice blog on bug. Training give you way to learn and resolve error solving technique.